When it comes to maintaining a comfortable home for you and your family, your air conditioning and heating systems play a very important role. Your air conditioning and heating systems are expected to carry a lot of weight over the course of the average year, and as such it is important to make sure that you are investing the kind of care these systems need to continue functioning as effectively and efficiently as possible all year round. For all of your Loganville air conditioning and heating service needs, the only name in quality service that you need to know is Mobley Heating & Air. 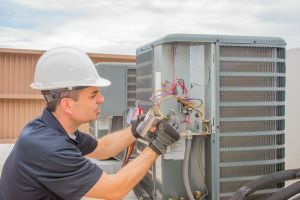 Our team of local air conditioning company have experience working with heating and cooling equipment of all makes, sizes, and designs, and we can help you to quickly and effective resolve any issues you might be experiencing. 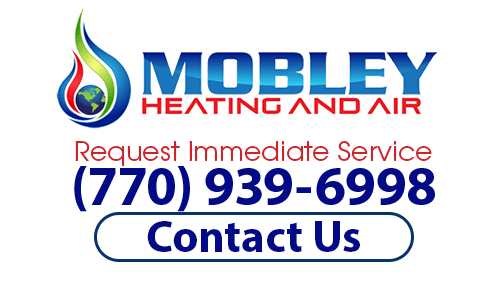 When you are looking for the absolute best in quality heating and cooling services for your Loganville home or business, you can always count on the experts here at Mobley Heating & Air. Here at Mobley Heating & Air, each and every one of our Loganville air conditioning and heating experts are fully licensed, trained, and experienced in the field, so whether you are just looking for routine maintenance, emergency AC repairs, or even brand new system installations, our team of Loganville professionals have what it takes to get the job done, and make sure it's done right. If you have any questions about our full line of high quality air conditioning and heating services, or if you would like to schedule an appointment for consultation with one of our specialists, give us a call today. Our team of experts are always standing by and would be more than happy to assist you in any way we can. The summer months here in the Loganville area can get blistering at times, and when they do, you and your family want to be absolutely certain that when you flip your thermostat to cool, you are going to be greeted by a comforting blast of cool air throughout your home. Without a properly functioning air conditioning system, it can be next to impossible to relax inside your own home depending on which part of the spring or summer the issue arises, but our team of Loganville air conditioning experts are here to make sure that doesn't become an issue. We can help you resolve any and all of your air conditioning service needs, whether your system is just in need of some minor tune ups, you are looking to bring your system back online after a major breakdown, or you are looking at replacing it with something newer altogether. When you are looking for quality air conditioning service that never compromises on quality for the sake of speed, you only need to look as far as Mobley Heating & Air. If you are looking for a local Air Conditioning & Heating professional in Loganville, then please call (770) 939-6998 or complete our online request form.